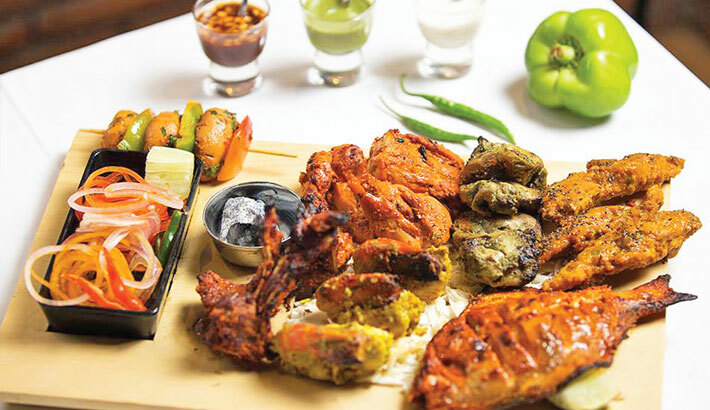 ‘The Great Kabab Factory’, an Indian specialty restaurant, is now offering a unique dining experience to its guests in Dhaka. SR Group has introduced this chain franchise in Bangladesh. Now ‘The Great Kabab Factory Bangladesh’ has two outlets – one is located at Jamuna Future Park and the other one at Gulshan- 2. At ‘The Great Kabab Factory’, a different menu is set for each day and you are served unlimited servings of each dish, either vegetarian or non-vegetarian. The journey begins with six varieties of Kababs served one after the other, starting with their signature kababs. After that, the main course is served. This chain owns a recipe bank of over 450 kababs that include many closely guarded family recipes passed down through the ages. If you want to satisfy your taste buds, it’s your time to pay a visit to any of their two outlets. It is mentionable that the dishes served there are affordable.